Our Pet Treats are a great way to help our companions with ease to aches and pains that may come with age or mobility. They are very useful in terms of calming, relaxing or sleeping issues that might be present, especially around thunderstorms or fireworks. Often used for separation anxiety or antisocial issues. Great for overall healthy well being, your pets are sure to love the bacon cheeseburger flavor. 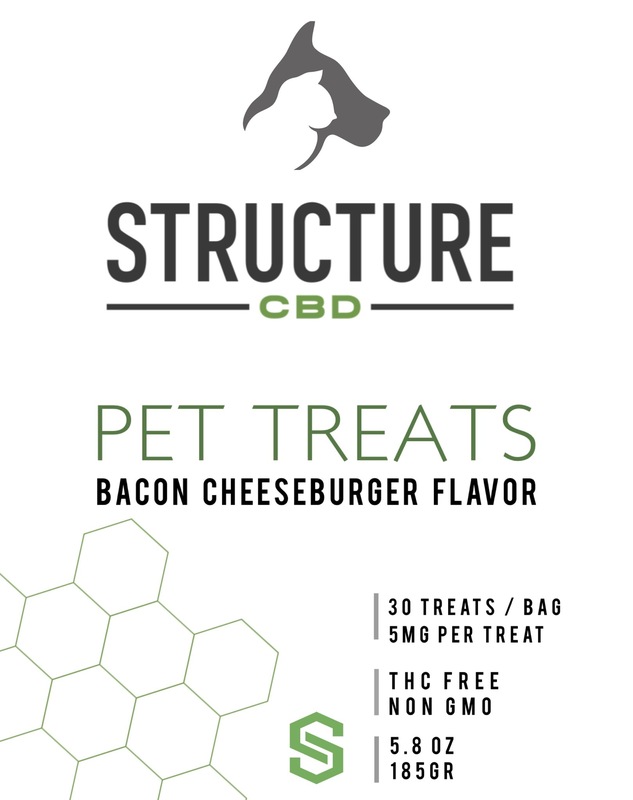 Proprietary blend of hemp derived CBD, Passion Flower, Valerian Root, Ginger Root, Other ingredients include Rice Bran, Cane Molasses, Purified Water, Tapioca Starch, Rice Flour, Lecithin, Safflower, Glycerin, Cheddar Cheese, Beef Protein, Hickory Flavor, Sorbic Acid, Ascorbic Acid, and Calcium Propionate.